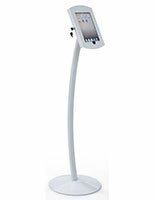 These tilting iPad floor stands feature an adjustable design that can tilt 90° and rotate 360°. 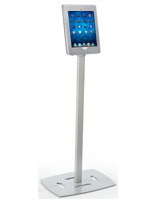 The floor standing holders can also lock for added security and show the home button to allow customers to navigate to other apps. 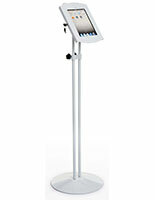 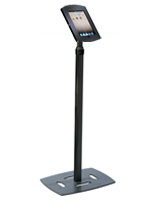 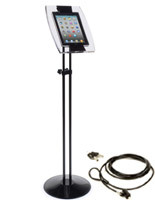 The iPad floor stands are made of strong steel with a black finish that goes with any interior. 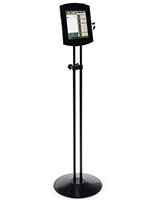 Each enclosure's height adjustable frame can range between 38" and 67", allowing them to accommodate any user. 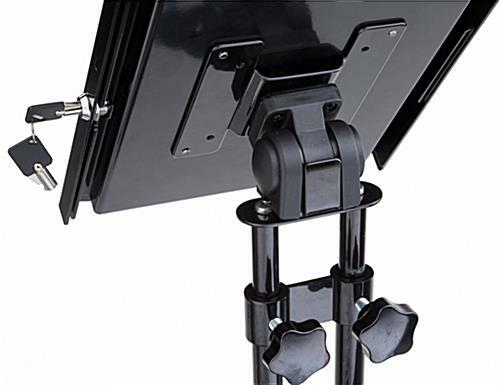 The locking black stands give access to the charging port, audio jack and camera for a number of uses. 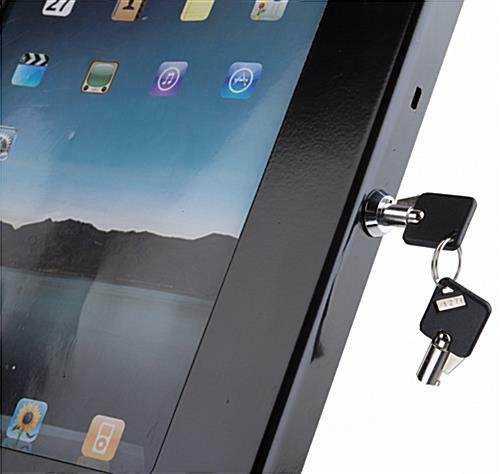 In addition, the enclosures with an exposed home button will support Apple® devices from the 2nd, 3rd, 4th and Air generations.